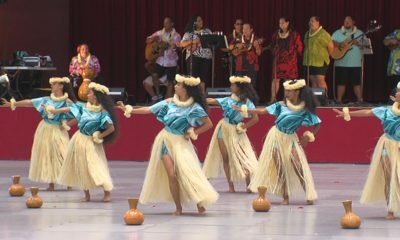 HILO, Hawaii – On Monday, the genetically modified organism debate returned to the Hawaii County Council chamber. The discussion has been ongoing at the Public Safety and Mass Transit Committee over the last few months. Two bills proposing to regulate GMOs in different ways have been whittled down to a focus on just one bill. Monday’s meeting was a continuation of the previous committee meeting, during which councilwoman Brenda Ford’s bill was given a negative recommendation. A decision has yet to be made on councilwoman Margaret Wille’s bill. Ford’s bill 109 would have made it illegal to grow GMOs on the island, including the transgenic papaya which has become so prevalent in Puna. 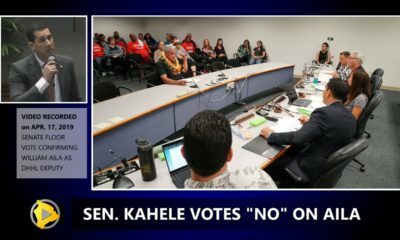 At the same time, Wille introduced bill 113, which would still prohibit the introduction of new GMOs to Hawaii, but would exempt the genetically engineered papaya and corn already being grown on the island. Early in Monday’s discussion, Ford tried to breathe new life into her bill which appeared to be headed for a quiet death at the full council. County code dictates that the bill must first be sent to Environmental Management – bill 109’s proposed enforcement agency – for the department’s review before a vote. That means last week’s vote could have violated the county code. The rule was debated. The committee ultimately voted to reconsider the bill, and send it to Environmental Management. That means Ford’s bill is still alive in committee. 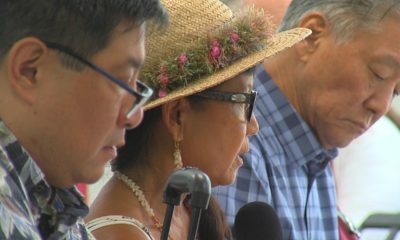 The elected officials then discussed a forum held in Waikoloa about GMOs, hosted by the Hawaii Island Economic Development Council. Councilmembers who attended had to report their attendance for sunshine purposes. After that the committee could focus on Wille’s bill 113. But first, a politician. Kauai councilman Gary Hooser, who is leading a high profile charge on Kauai to curtail the effects of GMO agricultural practices on his island. Hoosiers bill 2491 has inspired huge marches and deep passion. Hawaii county picked his brain for a while on Monday. 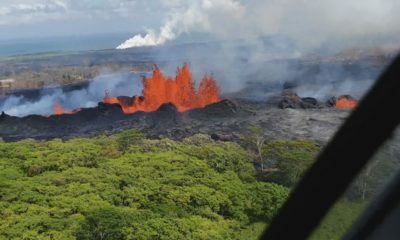 Hooser said his island is concerned about health, and said doctors have seen greater incidents of certain illnesses in the affected districts, including cancer and birth defects. In an attempt to define the difference between open air cultivation and open air testing, Councilwoman Eoff asked Hooser if the distinction can be made. From there the day took on the appearance of another hearing, but instead of the public expressing its opinion, the testimony came from speakers chosen by the councilmembers. 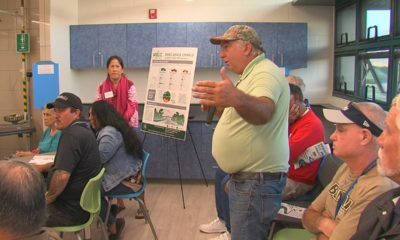 Speakers included UH plant pathologist Michael Shintaku, who along with others downplayed the health concerns the anti-GMO groups associate with Roundup, the Monsanto herbicide. Some GMO crops have been created to be “Roundup Ready”, which means the use of the weed killer will not effect those crops. On the other side, an obstetrician and gynecologist who insisted the health effects of GMO food consumption have been proven and documented. “I kept wondering why is everybody low in vitamin D in this incredible environemnt that we have,” added McGaff. Dr. Hector Valenzuela – a Professor at the University of Hawaii – a man whose GMO analysis is well regarded, took a critical look at the claim that the transgenic rainbow papaya saved the payapa industry from a death at the hands of the ringspot virus. UPDATE: Jeffrey Smith was one of the big testifiers of the day. 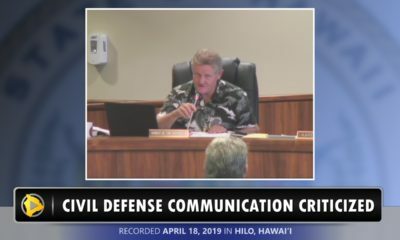 Since his work and credibility have been questioned in the comments below, we thought we should ad this video shot by Kerri Marks of Occupy Hilo, documenting Smith’s testimony at the council committee on Monday. And on it went, with no decision making and very little discussion from the council. The debate continues on October 1st during the regularly scheduled committee meeting.